Earn up to 15,890 reward points. 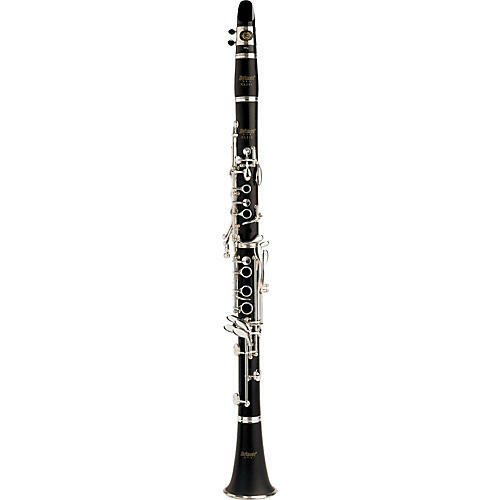 Made of grenadilla wood, the Selmer CL211 Intermediate Bb Clarinet features a smaller bore, undercut tone holes, adjustable thumb rest, and silver-plated keys. The internal bore design of the Selmer CL211 compares to many professional handmade clarinets. The use of carefully located tapers (conical) and straight (cylindrical) sections creates a smooth, consistent scale. The Selmer CL211 clarinet enables musicians of all ages and abilities to produce a refined, resonant tone quality. The shape of the Selmer CL Series clarinet bore results in an instrument in tune with itself. Play a low G, add the register key to produce the D a twelfth above and check the pitch of both notes; they should register as in tune. Do the same with low A and middle E, low Bb and middle F, low Bn and middle F#. Critical undercutting of the tone holes refines this tuning process and enhances a full, even sound over the entire range. The Selmer CL Series makes playing the clarinet effortless. Key placement and size becomes very critical for young musicians. Small fingers can easily cover the profile and size of the ring keys. Ergonomic positioning of the left-hand little finger keys and throat A facilitates advanced technique. An adjustable right-hand thumb rest on the CL211 allows for a personalized feel. Use of professional-style tapered pivot screws on all Selmer clarinets lends a light, positive action. You've earned it. Order your step-up Selmer today.